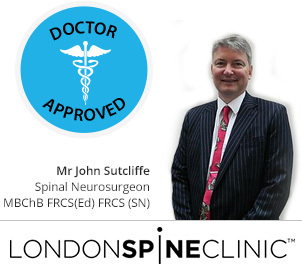 London Spine Clinic is the number one private clinic in the UK specializing in back pain with a private client list covering Olympic champions and a whole host of sports professionals. Treating in excess of 10,000 patients a year it is their expertise that has helped shape the unique features of our Bac< products. All the wearable products can be worn over or under clothing and are meant for both men and woman. The core range products are made using a hypo-allergenic fabric as well. They are not designed to be used while sleeping and we do not recommend doing so. Please do not hesitate to contact us at service@backpainhelp.com for any questions or concerns. The Neck Brace helps relieve pain in the neck and upper back as well as improve posture as it positions your head correctly. It supports the neck and restricts head movement. To wear is simple. Strap the Velcro in the back of your neck and place your chin on the chin rest. Adjust if needed. 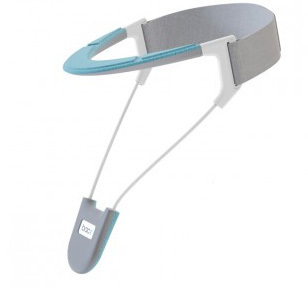 It is recommended to use the Neck Brace for around 2 hours each day to help relieve pain or use when reading, watching TV and working on your computer to improve your posture. 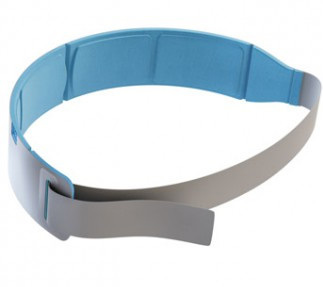 Our Sacroiliac belt has been designed to help your hips regain their natural movement. It works by compressing and supporting the hip or sacroiliac joints. 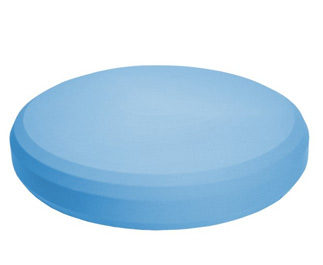 This reduces sacroiliac pain by supporting the joints and prevents excessive movement. It is designed to be worn around the hips so it is important to measure the size of your bottom and not your waist. The belt should sit between top of pelvis and hip joint. The Velcro should loop around to the back of the brace. There should be enough tension but not too much tension. The London Spine Clinic recommends trying a move that is uncomfortable like getting out of the car. Put the belt on and see if the pain feels better and belt comfortable. If it does not, try altering the position or adding a little more tension to the belt. 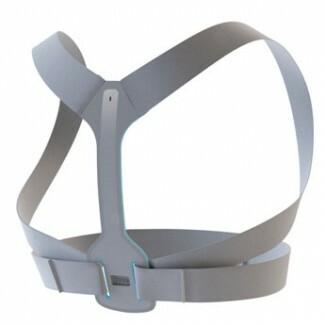 The shoulder brace corrects posture and provides support to key muscle groups. Pull the straps through until it stops. Put on the brace as you would a backpack. Make sure the straps are not twisted. Reach behind you and grab the two straps forward. Alternate moving them back and forth, this will dictate how much tension you are putting through the brace. Start off with a little amount of tension and adjust if more is needed. Use for a few hours a day over a couple of weeks. 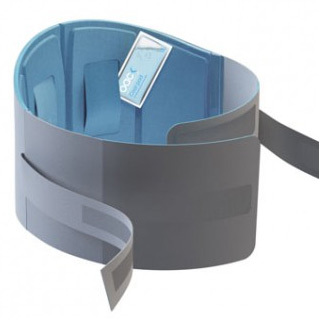 Our Back Brace has been designed to relieve lower back pain by supporting the core muscles in your central lower back. It can be used while exercising, with its breathable material making it much more comfortable when used for sporting leisure and activity. Use for 3 to 4 hours a day, over a couple of weeks, you will begin to see a positive change and relief in your central lower back and core using the Back Brace. In deciding the best size the measurement is taken around the waist/lower stomach area. 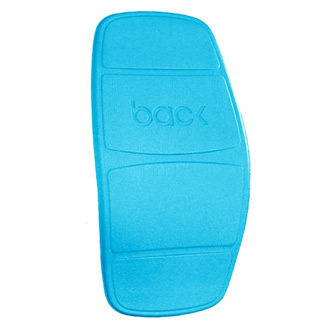 It is recommended to do simple to strengthen your back, restore normal muscle function, and help prevent further pain after a period of time using the brace. The London Spine Clinic recommend using the Backboard™ whenever you are seated to minimize the load on your back and stop prolonged stresses from sitting in a slumped position. It encourages you to sit upright in the correct position and improve your seated posture. It is portable so it can be used in the car, at your office desk or even on the sofa. Some people will need a deeper support while others will need a shallower support. That is what makes the backboard unique. It can be bent into any position by applying light pressure, specifically tailoring it to fit the curvature of your back. You may use this support mechanism throughout the entire day. The posture cushion is recommended to ensure that it corrects posture and provides support to key muscle groups when sitting. It strengthens the core stability muscles which provide us with the postural support we need when sitting. It used for chair sitting; try and use a chair that does not have arms to avoid using these as supports. We recommend using the cushion for 30 minute periods throughout the day.